BARROW Hill-based British Sugar Corporation (BSC) Peckett 0-6-0ST No. 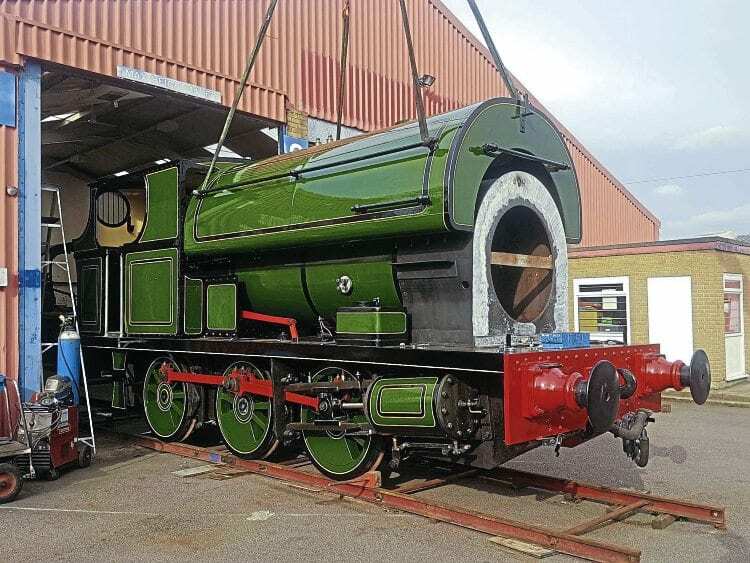 2000 is close to a return to service as its 10-yearly overhaul by David Wright at Locomotive Maintenance Services (LMS) at Loughborough nears completion. At the time of writing, Peter Kennan’s 1942-built ‘B3’ type was awaiting the fitting of its regulator casting, which had returned from Cast Iron Welding Services, at Coalville, where some small cracks had been repaired. Otherwise the loco is largely complete. The overhaul has been extensive, with much of the work focused on the boiler. This has included welding in a small new piece into the barrel, manufacture and fitting of a new front tubeplate, and new metal in lower sections of the firebox. Additionally, new plating has gone on the running boards, new wooden toolboxes made, and the pistons straightened and new piston rings fitted.